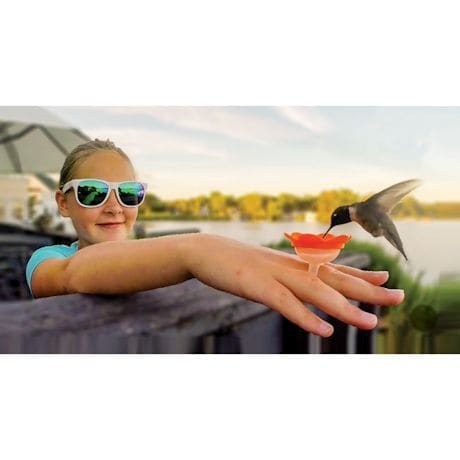 Create up-close and amazing nature encounters that you and your family will never forget. 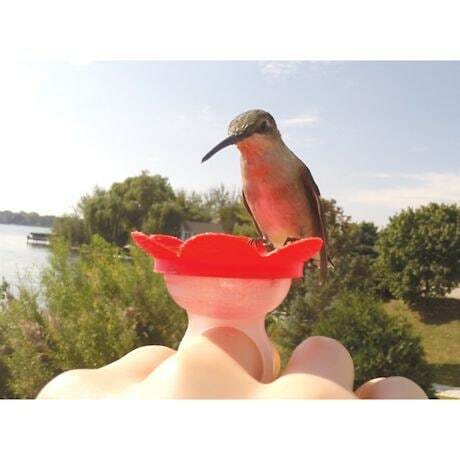 Start by filling your hummer rings with any nectar and placing them in their holder; as hummingbirds learn that there's food to be had, you can start wearing the rings and feeding the birds straight from your hand. 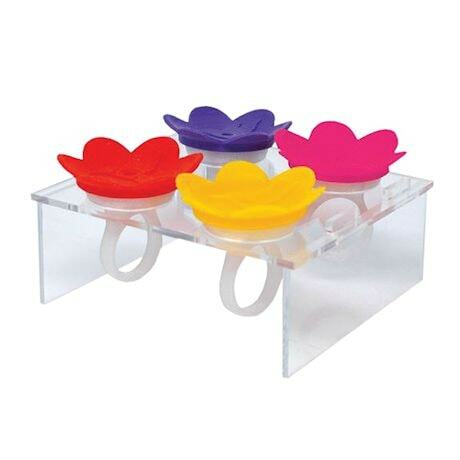 Rings are dishwasher-safe plastic; each fits an adult finger comfortably. 2" flowers; 4 rings in each set.